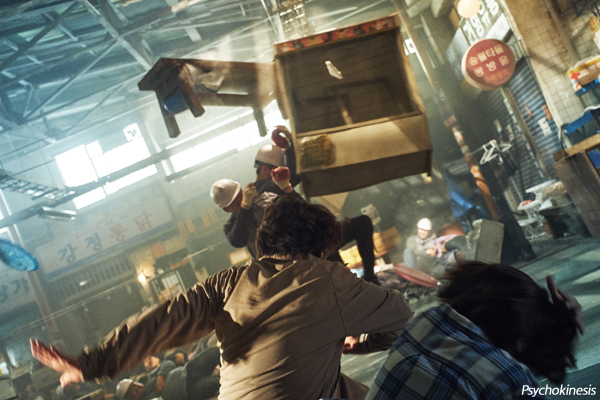 Global smash hit TRAIN To BUSAN (2016) director YEON Sang-ho’s new project has a premiere date. “Psychokinesis has secured its release date in February, 2018.” Korean film investor and distributor NEW announced in a press release on October 18th. TRAIN TO BUSAN production company REDPETER FILMS and NEW are on board again for Psychokinesis which is director YEON’s second live action film. YEON previously also directed animated feature films The King of Pigs (2011) and The Fake (2013). Starring RYU Seung-ryong of War of the Arrows (2011), Masquerade (2012), Miracle in Cell No.7 (2013) and The Target (2014) and SHIM Eun-kyoung of Miss Granny (2014) and Queen of Walking (2016), Psychokinesis tells the story of a man who unexpectedly has superpowers and tries to save his daughter in crisis. In addition, PARK Jung-min of DONGJU; The Portrait of A Poet (2016), JUNG Yu-Mi of TRAIN TO BUSAN and KIM Min-jae of The King (2017) and The Beauty Inside (2015) will co-star with RYU and SHIM.